Treat yourself to a revitalizing haven in a convenient location. The Westin Houston Downtown is near the convention center, a serene park, and major highways. Sports fans will be close to Minute Maid Park, the Toyota Center, and BBVA Compass Stadium. Stay on top of work in the business center, and energize in our well-equipped gym. Recharge with a nourishing meal in our restaurant morning, noon, or night. Gather in one of our function rooms, complete with wireless High Speed Internet Access. Enjoy traditional charm and inspiring views in any of our 200 guest rooms and suites. Work at the modern desk or relax on the leather furniture. Get a blissful nights rest on your Westin Heavenly Bed, and refresh with premium bath amenities. 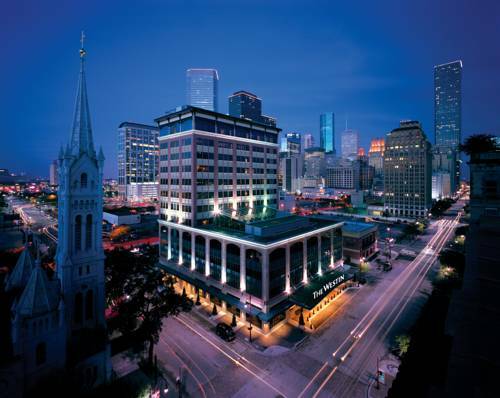 The Westin Houston Downtown provides a revitalizing haven in a convenient location amid the areas hectic pace. Sports fans can see the Astros at Minute Maid Park across the street, the Rockets at the Toyota Center, and the Dynamo at BBVA Compass Stadium. Take care of business at the nearby George R. Brown Convention Center or the Houston Center, or take a relaxing walk through Discovery Green. Our proximity to U.S. Highway 59 and Interstates 10 and 45 provide easy access to both Bush Intercontinental Airport (IAH) and Hobby Airport (HOU).